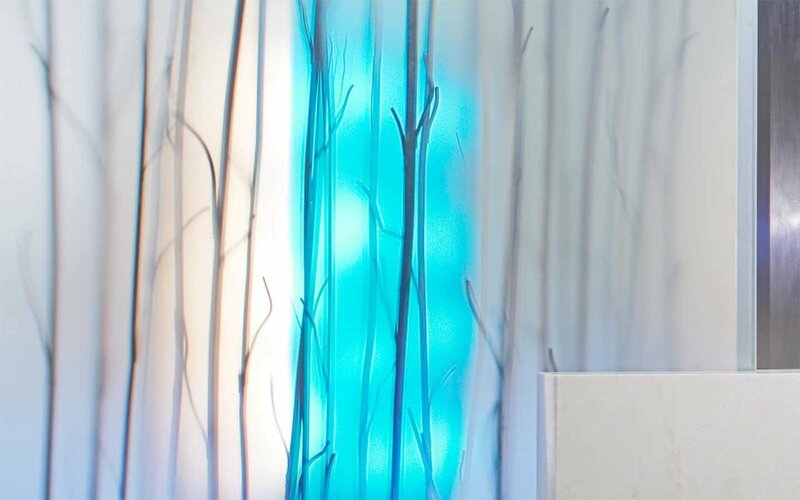 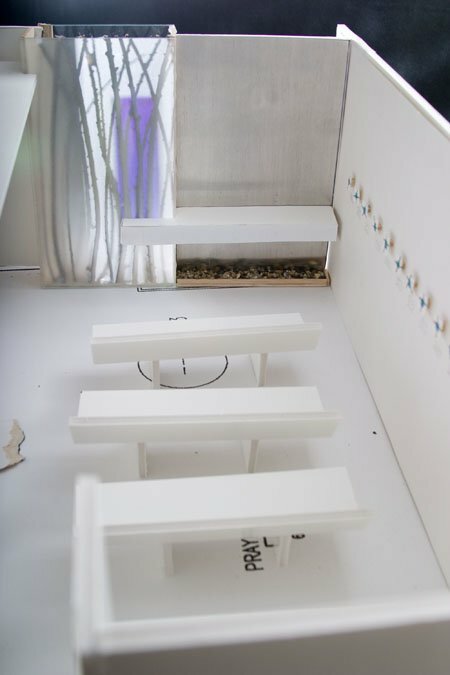 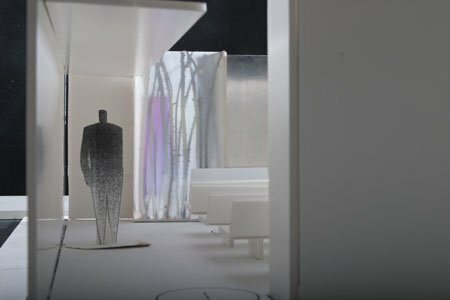 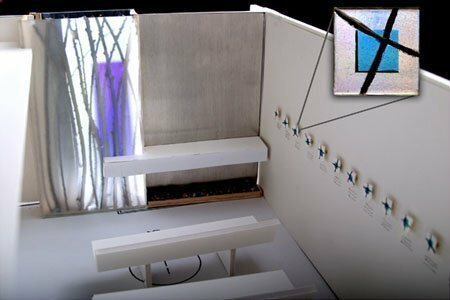 Natural elements were the inspiration for the hospital’s Meditation Room. 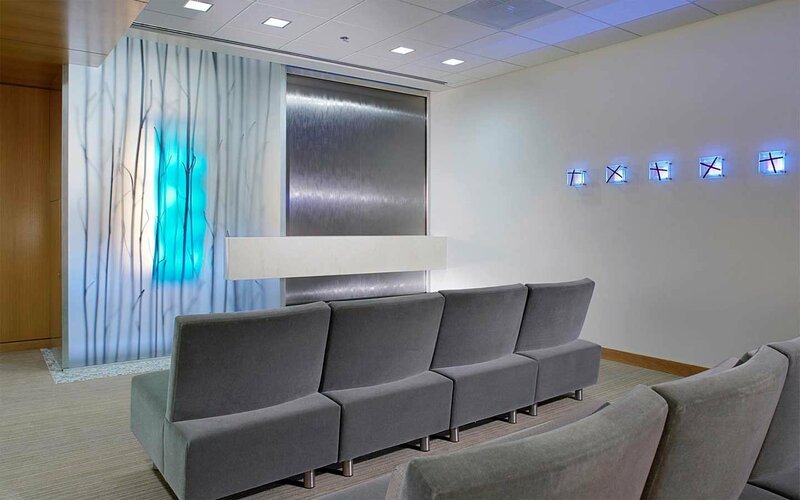 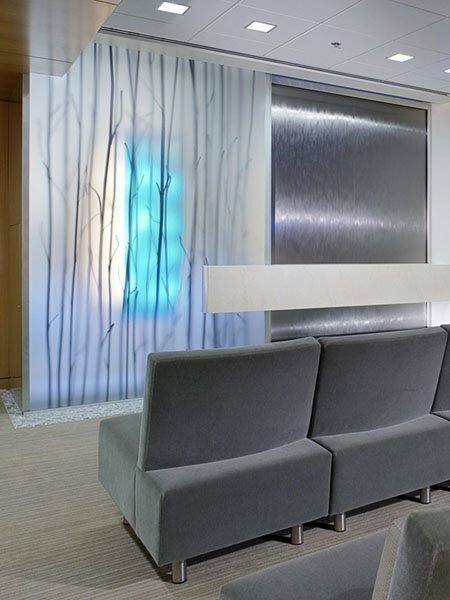 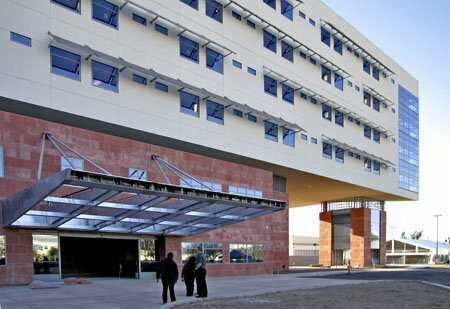 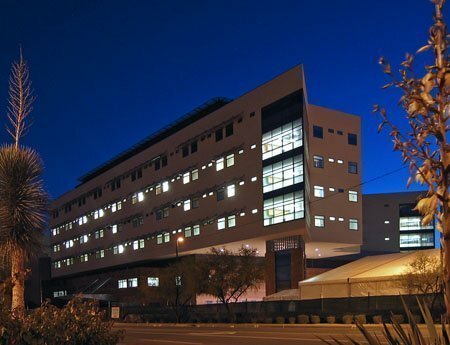 A stainless steel water wall which measures 10’ H x 6’ W, was installed adjacent to a light wall that incorporates an acid etched plane of glass that veils slender tree branches made of copper. 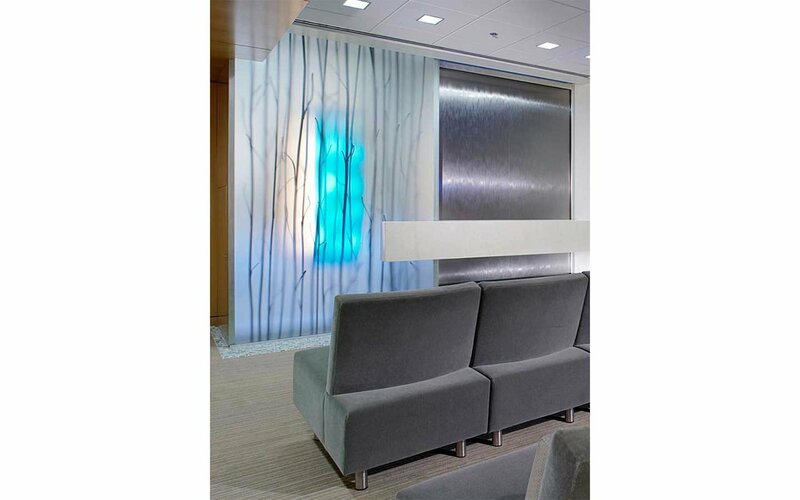 River stones are embedded at the base of the light wall. 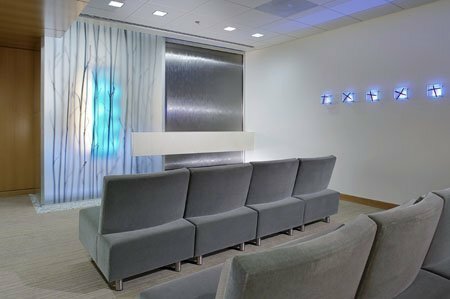 The meditation room is both a chapel and a space for non-denominational prayer and reflection. 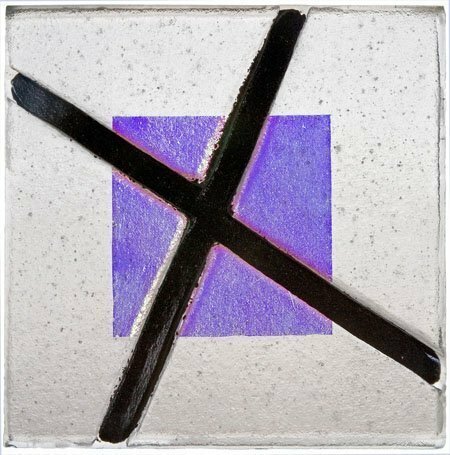 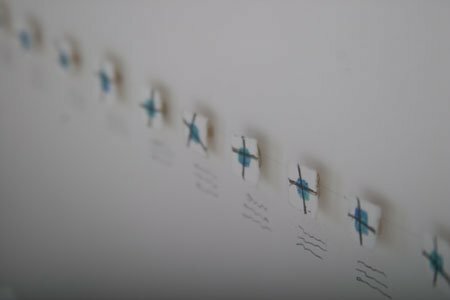 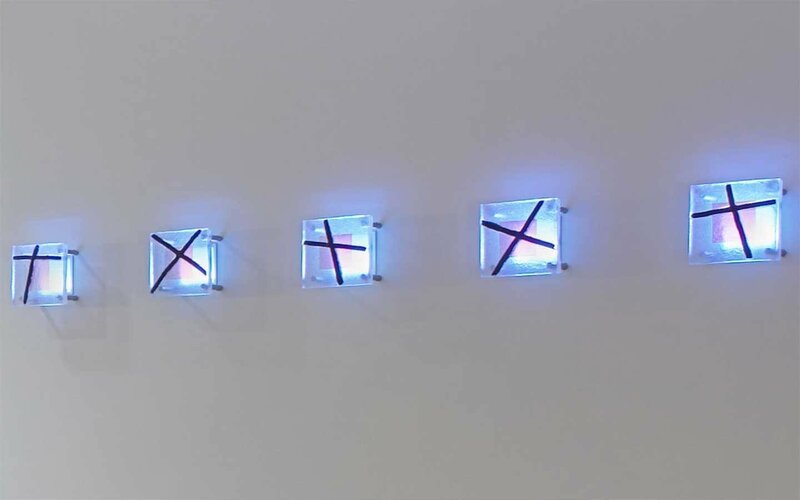 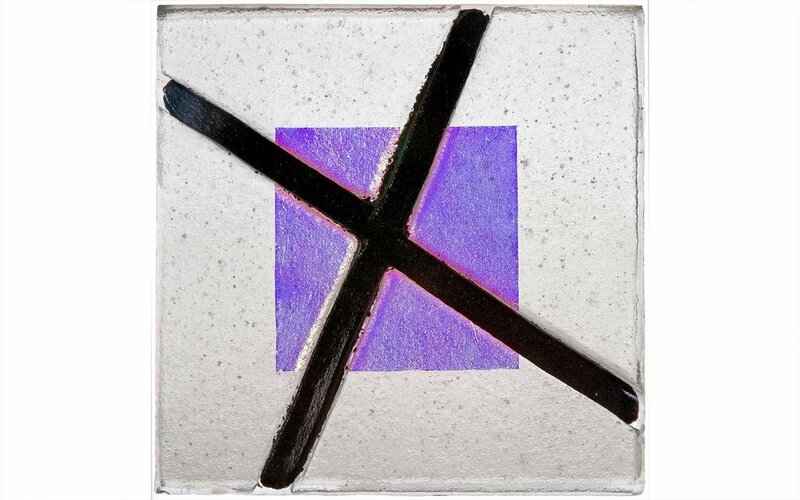 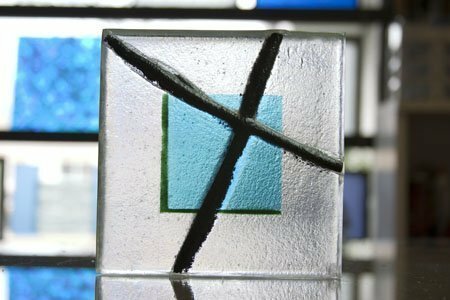 To honor principles and faith of the Sisters of Mercy, Huether created abstracted Stations of the Cross, a grouping of small square panels made of thick fused glass (4″ H x 4″ W each) that float on the wall and are individually lit from within.